If you like the idea of playing an exciting, anime based RPG game, you may be interested in downloading Gachaverse for PC. 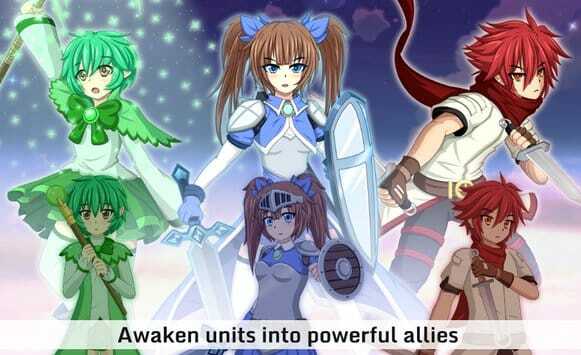 In Gavachase you’ll get to play as a powerful gacha summoner, whose primary mission is to restore peace to the beautiful kingdom of Gacha, which has been plagued by evil forces who seek to annihilate the once peaceful kingdom of Gacha. 1. You’ll be able to create your very own anime character from scratch. Instead of being told to pick a pre-designed character from a list, you’ll be able to customize each and every aspect of your cute anime character. As an example, you’ll be able to choose your character’s hairstyle, eye shape, and eye color as well as your character’s outfit. Better yet you’ll also be able to accessorize your character’s outfit with a wide variety of accessories such as crowns, halos, hats, and ribbons. Currently, Gachaverse boasts thousands of different clothing items and accessories to choose from. 2. 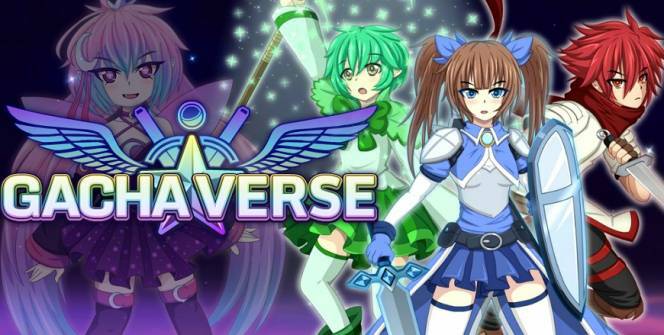 Gachaverse boasts several different modes of gameplay to explore. Gachaverse is bound to hold your attention for several weeks as Gachaverse features numerous different modes of gameplay. Examples of which include a story mode, an arena mode, a raid mode, a tower mode, a survival mode and a training mode. If you’re interested in battling fellow players from around the world, it’s well worth powering up your character in order to experiment with Gachaverse’s popular arena mode. As you’ll get the chance to challenge an opponent to a one on one battle. Gachaverse even boasts a handy training mode, which will teach you all the tips and tricks you’ll need to win your games. So if you don’t know where to start, it’s well worth starting off by getting familiar with Gachaverse’s handy training mode! 3. Gachaverse also features a studio mode, which will allow you to tell your own stories. If you’d love to be able to illustrate your own stories but don’t have a knack for drawing, you’ll love the fact that you’ll be able to use Gachaverse’s studio mode to tell your very own comic-style stories. Simply dress up your characters, choose a unique pose for each character and then add text bubbles for each character in your scene. 4. You’ll get to chat with thousands of players from around the world. As Gachaverse is played by thousands of individuals who are located across the globe, you’ll be able to chat with thousands of international players. As an example, in Gachaverse you’ll get to design a room for your character, which you can use to entertain new friends which you make in the Gachaverse universe. 5. You can play Gachaverse offline as well as online. While playing online games can be a lot of fun, you may find it convenient that you’ll be able to play Gachaverse offline, as well as online. So if you love the idea of playing an anime-style RPG game, which offers plenty of customization options, it’s well worth downloading Gachaverse for free! Sometimes when playing Gachaverse, bluestacks ask you fee to pay but gives you option to download some apps. Every time it asks you just select “Install apps” and continue using it free. I hope you enjoyed this article, please rate and share. If you have problems running Gachaverse on your desktop or any other issues, leave a comment below.